At CrossFit Tides there is a continuous effort to cultivate the idea that human beings can create life longevity through the CrossFit methodology. In order to achieve this, our commitment to our athletes is to provide World Class Coaching, Small Class Size, 100% CrossFit, and a Positive Community Environment. We also achieve this through constantly developing our coaches and staff to live our core values which are to be humble, driven and people smart. 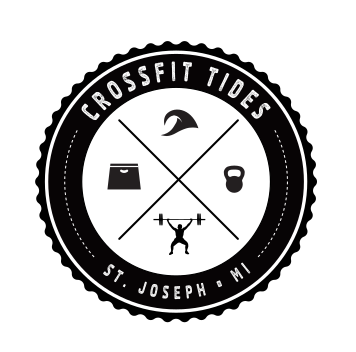 CrossFit Tides is the first CrossFit gym in Berrien County, MI - Established in 2012. WHY CHOOSE OUR CROSSFIT GYM IN SAINT JOSEPH? Choose our Saint Joseph CrossFit Gym because you want to be healthy. Choose a CrossFit Workout Program near Benton Harbor because you want results. Choose a CrossFit Gym near Berrien Springs because you want a community around you. No matter what city or suburb you are from, you deserve a community that is supportive and like-minded. You deserve to be surrounded by people who don’t care what you’re wearing; they only care to help you become your best. Our Saint Joseph CrossFit Gym near Benton Harbor and Berrien Springs helps you build strength, lose body fat, lose weight, become healthy, and learn to enjoy fitness. CrossFit does this all within a 1-hour window each day. Our Saint Joseph CrossFit gym is the home of fitness for anyone. From big cities like Holland, to smaller communities like Benton Harbor, Niles and Berrien Springs; anyone and everyone can do CrossFit. It is for you, your neighbor, your parents, your grandparents, and your children. 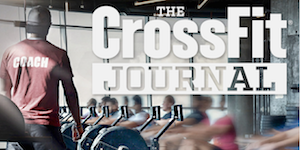 From the elderly to young adults, CrossFit is built with the individual in mind. Each workout is built around the specific person working out so that you can become healthier. In a class, you are likely to find anyone between the ages of 18 and 70, all following a specific program built for their individual needs. It does so by giving you a different workout each day in Saint Joseph focused on multiple domains of fitness during a 1-hour session. Each 1-hour session has a complete warm up, workout, called a Workout of the Day (WOD), and a complete cool down. By encompassing all the necessary elements to build a healthy exercise regimen, you are going to improve in each area required to be healthy. We’ve heard so many times that “I need to get in shape so that I can start CrossFit”. This couldn’t be further from the truth. CrossFit Workouts in Saint Joseph MI are designed so that you can begin in our classes in order to get in shape or lose weight. We start you slowly so that you can begin with us no matter what kind of shape you are in. The internet is full of success stories of people who have changed their entire lives through CrossFit in Saint Joseph MI. It’s never too late to begin. Start the journey to better health today. CrossFit is safe for everyone because it is exercise using the basic movements your body was designed to use in everyday life. Any human needs to have the ability to pick up an object, carry an object, set down an object, and be safe doing it. CrossFit in Saint Joseph MI is built upon these basic movements. Our coaches are knowledgeable about you and your physical ability. We are going to help you find your limits and push them while maintaining good form and movement. This combination develops fitness in a way that is hard to match.